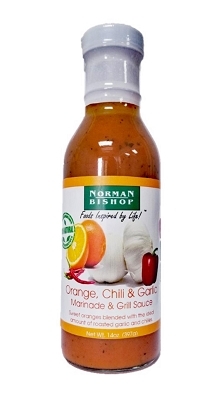 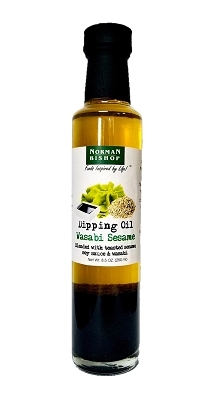 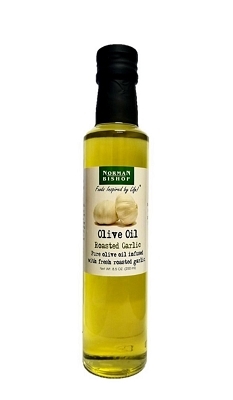 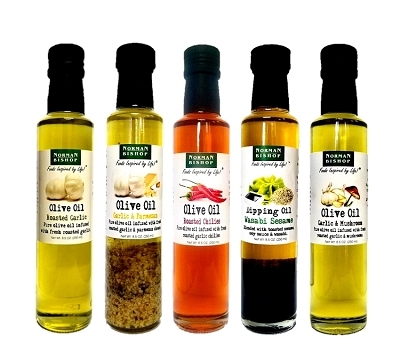 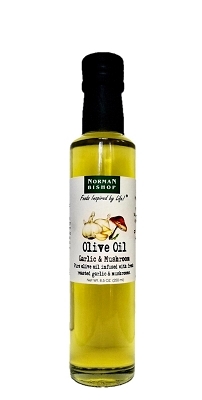 Norman Bishop Roasted Garlic & Chili Olive Oil is a pure olive oil that is naturally infused with fresh roasted garlic & chilies for a quick and easy burst of flavor for cooking. 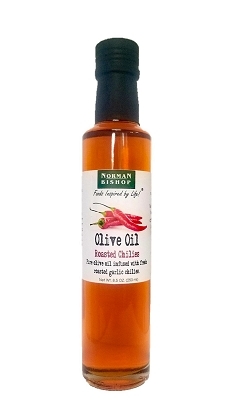 Offering a wonderful medium heat that will liven up your favorite pasta, seafood and vegetables. 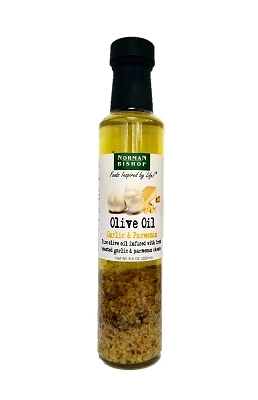 A nice spicy olive oil even for dipping bread.